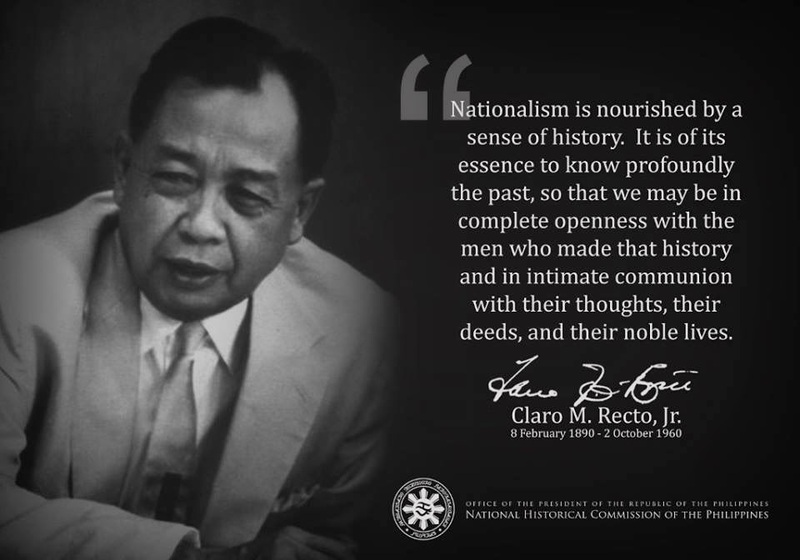 WHAT WE FILIPINOS SHOULD KNOW: Any truly nationalistic leadership and people will be faced with serious threats inside and outside their country. There’s something profoundly disturbing — sickening, really — about watching a bully at work. You feel either complicit, or powerless, or both. The global bully, the United States, has just coerced Guatemala, its latest victim, into repealing an important law to lower the price of pharmaceuticals and promote generic competition. The U.S. ambassador to Guatemala acknowledged that the Guatemalan law was intended to advance public health objectives. But, no matter, he said — U.S. commercial interests in the form of Big Pharma demanded that the law go. The United States has negotiated a trade deal with the Central American countries. It goes by the acronym of CAFTA (US-Central America Free Trade Agreement). CAFTA is a complex agreement, but in shorthand you can consider it an extension of NAFTA to Central America. CAFTA includes a chapter on patents, copyright and other forms of monopoly protections for knowledge. All of the CAFTA countries are already members of the World Trade Organization, which requires countries to adopt U.S.-style patent systems, featuring 20-year patent protection of all products, including pharmaceuticals. Although it imposed on countries the requirement to adopt 20-year patents for drugs, the WTO also contains certain safeguards. Most important among them is the right to undertake compulsory licensing — enabling governments to authorize generic competition for on-patent products. These safeguards are vital, especially in the developing world. Patent monopolies drive up prices, and are the main reason drug prices are so high. The best remedy to these high prices is generic competition. Evidence: The price of a triple-drug AIDS therapies in developing countries has fallen by 98 percent over the last six years, thanks to generic competition, as well as an international campaign for access to medicines. But in CAFTA, the United States proposes to eviscerate countries’ right to speed up generic competition and undertake compulsory licensing for pharmaceuticals, most importantly by requiring CAFTA members to establish special monopoly protections for pharmaceutical regulatory data (known as "data exclusivity"). To gain regulatory approval to sell generic versions of drugs already approved for market, generic companies generally do not repeat safety and efficacy studies, which are very time consuming and relatively costly. Instead, they typically show their product is chemically equivalent to, and works the same in the body as, the brand-name drug. Then they rely the drug regulatory agency’s approval of the patented product to earn approval for the generic version of the product. But the U.S.-imposed provision would prevent this, and establish a 5-10 year period during which generic firms could not rely on the brand-name companies’ tests. As a result, brand-name companies would get protected monopolies even if a product is not on patent, or even if a compulsory license was issued. Under pressure from the United States, Guatemala has adopted exclusivity on two separate occasions in recent years. But each time, after health advocates pointed out the dangers, the provisions have been eliminated. Making Big Pharma very unhappy. So John Hamilton, the U.S. ambassador to Guatemala, issued what amounted to an ultimatum: Guatemala had to change its law to provide data exclusivity, as is required by CAFTA, or the U.S. Congress wouldn’t approve the deal. And so Guatemala did. Despite intense street protests, including by people with HIV/AIDS, the Guatemalan Congress last week imposed a data exclusivity regime, and then approved CAFTA. Get this: the United States demanded the change on data exclusivity even as it acknowledged that Guatemala had rid itself of such rules in order to advance public health objectives. In an op-ed in the Guatemalan press demanding a change in the country’s data protection rules, Ambassador Hamilton wrote, "there is no doubt" that Guatemala had rescinded data exclusivity rules "out of its concern to protect public health." But no matter. Protecting public health isn’t a good enough reason to offend Pfizer. Unfortunately, this is not just an esoteric matter. It will have life-and-death consequences. "In Guatemala today, 78,000 people are infected with HIV/AIDS," says Berta Chete, who works with the Association Gente Positiva, an organization of people living with HIV/AIDS in Guatemala. "Nearly 13,500 of us are in urgent clinical need of ARV treatment. But only an estimated 3,600 people receive it. Most of them get it from the Social Security system and non-governmental organizations. The Ministry of Health only provides treatment to 350 patients." The government has the duty to provide treatment, she points out. But, "we doubt that the Government has the capacity to respond to this situation, because, if there is not competition between generic medicines and brand-name drugs to reduce prices, the national budget will never be able to cover the needs of the country in terms of treating AIDS patients." The group Doctors Without Borders (known by the French acronym, MSF) offers an example of the harm to come from the U.S.-imposed data exclusivity rules, based on the period April 2003-November 2004, when Guatemala had data exclusivity rules in place. During that time, according to MSF, 25 medicines received data exclusivity. One of them was the AIDS drug atazanavir, a key part of second-line therapy for people with HIV/AIDS once they experience treatment failure on their first-line regimen. It is used widely in the United States, Europe and Brazil. There is presently no generic competition for atazanavir, a relatively new drug, and today’s price is more than $10,000 per person, per year. "If a more affordable generic version of atazanavir is developed, however," MSF notes — and such a version would be expected if competition is permitted — "it will not be able to enter the Guatemalan market until 2009," thanks to the data exclusivity rules. "This means," explains MSF, "that Bristol-Myers Squibb will have a monopoly during the entire period of exclusivity and, free from competition, will be able to charge whatever the market will bear — far more than what the average Guatemalan will be able to afford. It is therefore unlikely that the vast majority of Guatemalans who will need this medicine will be able to access it." These issues don’t only involve HIV/AIDS, but the severity of the AIDS epidemic, and the importance of recently developed medicines in providing treatment, highlights the issue. There is one piece of good news in this disgusting bully-boy saga: CAFTA is not yet enacted. The odds are reasonably good that CAFTA will be defeated in the U.S. Congress. And so this is unlike most occasions when you witness a bully at work. This time, at least if you live in the United States, you can undo the bully’s violence — by demanding your Member of Congress vote against the trade pact.